Natalie Schiabel is a Toronto based artist specializing in abstract painting. She studied Architectural Design and Visual Arts at the University of Toronto and recently completed a Master of Landscape Architecture. She is highly inspired by the natural world and the forms and colours found in nature. 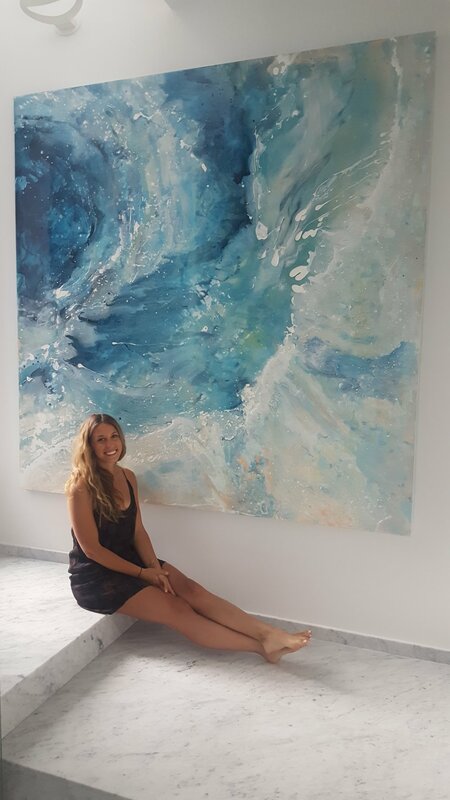 Abstract art allows her to capture and immortalize the fleeting grand gestures of nature she wishes could last forever. She is passionate about art and design, and creating works that uplift those who come in contact with it. She also teaches workshops and classes around the city, leading artists and non artists of all levels through the process of abstraction as well as an introduction to the creative process, providing space and support for those new to expressing themselves through art. She cares deeply about helping others find their artistic voice and supporting them along their journey to believing that they too are artists in their own way.